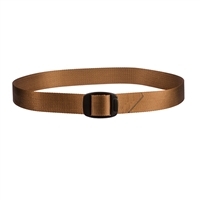 Single Point system with double (QRB) release buckles that allows quick release from the body or weapon. 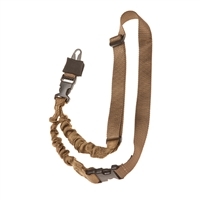 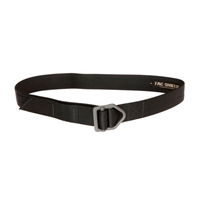 The 1.25" webbing ensures strength and durability in all field conditions. 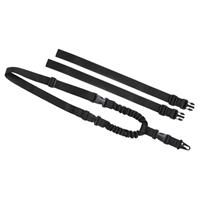 The Shock Sling II includes both an adjustable Shoulder Strap and direct Vest Attachment Strap for maximum versatility. 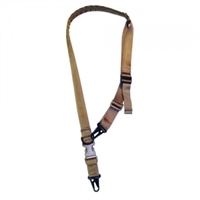 Warrior Slings offer the best of both Two Point attachment and Single Point attachment in a comfortable padded rifle sling.